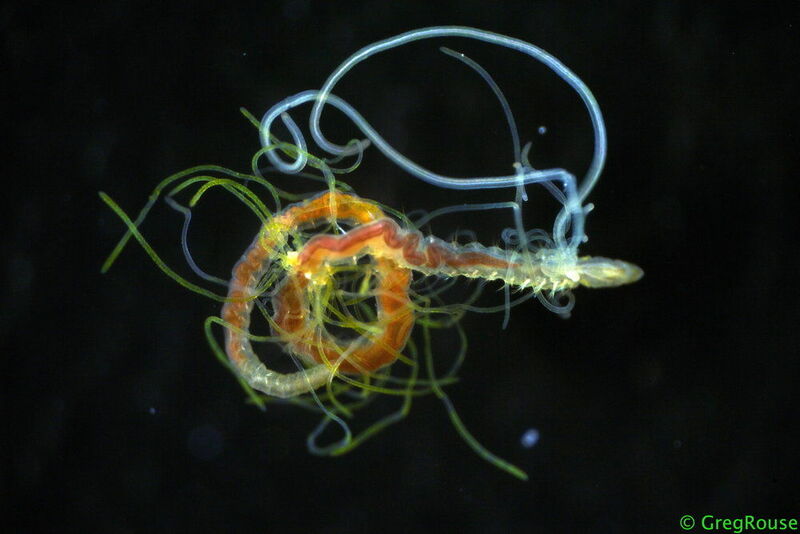 Today we're going to gaze in mild disgust at two different groups of polychaete worm, each belonging to the order Terebellida. 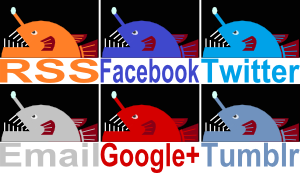 Just to confuse things a bit, we'll start with the Terebellidae family. The Terebellids. The Spaghetti Worms. They get their name from the fact that they look just like spaghetti! Even more so than most worms... lots and lots of wriggling, wiggling spaghetti. Sometimes several feet of it! The thing is, that spaghetti isn't actually the worm. It's just the mouth parts they use to catch food. Hungry spaghetti! Wriggling and wiggling as they seek out revenge... Just you wait until the meatballs come for you. Wasn't one of the Four Horsemen called Pastalence? Ahem. 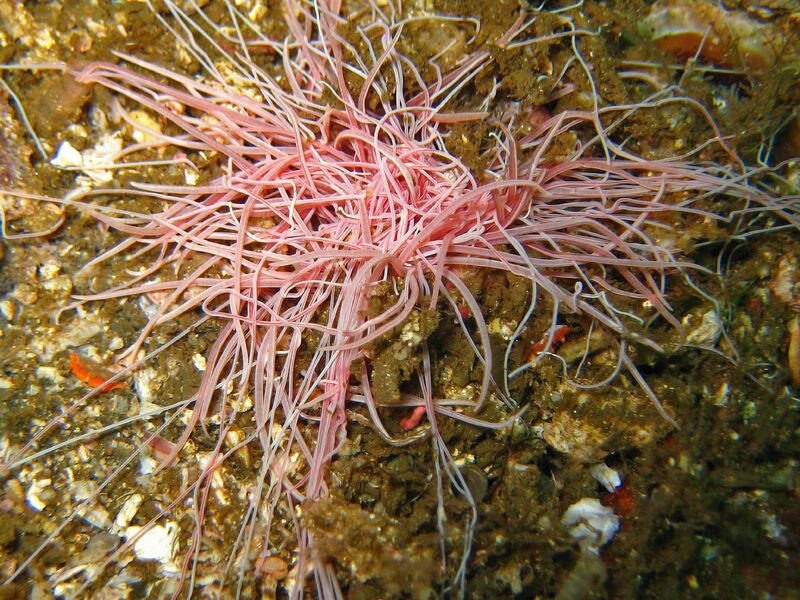 We've already seen one kind of Spaghetti Worm called the Sand Mason Worm. 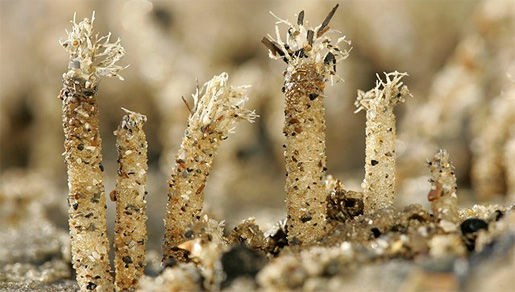 They got their name from the burrows they create for themselves by sticking together grains of sand with mucus. It must be some top-quality, high-grade, refined mucus because their burrows can go right up and out and proudly stand like little chimneys on the beach. The most our own mucus can do is dry up and make tissue paper go all crispy and horrible. That's cool - you could even make a uniquely disgusting swan out it if you're bored of origami - but it's totally unsuitable as house building material. Other Spaghetti Worms do something similar, but they tend not to build those impressive skyscrapers. 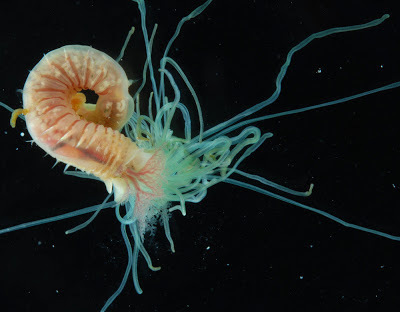 Typically, all you'll ever see of a Spaghetti Worm is a collection of long, white tentacles sprawling and crawling from a hole in the seabed. These tentacles are covered in mucus which will hopefully get covered in all sorts of detritus, while tiny hairs wave to carry it all towards the mouth. Now the worm can pick out the nice, suitably sized edibles from the surrounding muck. If you pull the worm out from its burrow you'll probably get a little horrified and disgusted, but hold your nose and take a close look! You'll notice that all those tentacles really do emanate from the mouth. 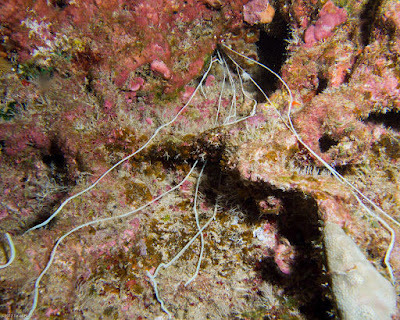 Behind them are a few pairs of branched gills that happen to look a bit like blood vessels and behind that is the segmented body. Each segment of the body is armed with spiky projections that provide traction so that the worm can crawl forward and back in its burrow. Other members of the Terebellida order look a little different. Here's an example of the Cirratulidae family. A Cirratulid. Sometimes they're called Hair Worms. Other times they get called Spaghetti Worms, which is unfortunate. Most Cirratulids prefer not to build a burrow for themselves. 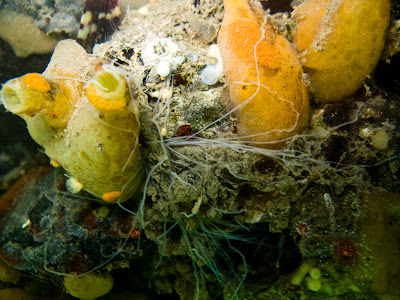 Instead, they wander around just beneath the surface of the sea floor, going hither and thither as the mood takes them. 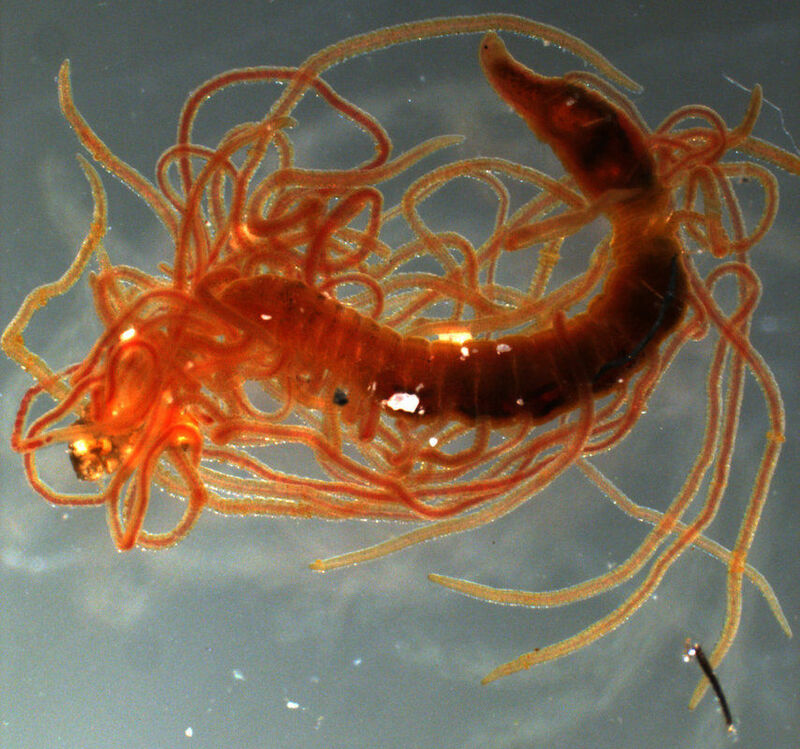 While Spaghetti worms have lots of feeding tentacles spewing forth from their mouth, Cirratulids usually only have two, sometimes none at all! They make up for it in style, though. Each segment of their body carries a pair of tentacles each - they're covered in them! And they wriggle and wiggle in search of... oxygen! They're actually gills, quite unlike the little, branching neckerchief of the Terebellids. Buried beneath the sand, this worm extends a couple feeding-tentacles and a whole bunch of tentacle-gills into the water above. 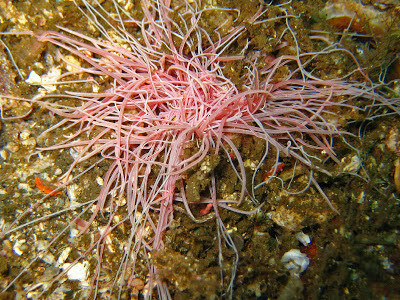 The writhing mass appears similar to the Spaghetti Worm, but more colourful and it often seems to be a much denser affair. So if you're on a tight budget and need a high writhing-mass-per-square-inch quotient, a Cirratulid looks the better choice. This is how you out-spaghetti a Spaghetti Worm. I don't know if I should be proud or embarrassed about that Horsemen one! 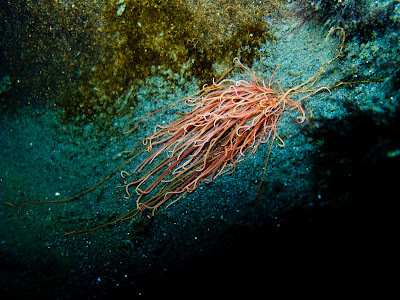 These sea creatures really look exactly like Spaghetti.Also I watch all these videos.I'm astonished by watching all the stuff.Thank you very much for sharing.Keep posting.